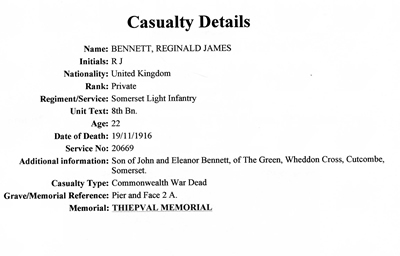 John and Reginald were the sons of John and Eleonar Bennett. 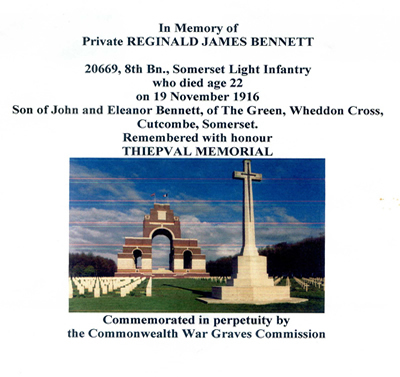 They came from a large family of 10 children - mainly girls,John Reginald and Rowland being the youngest group. 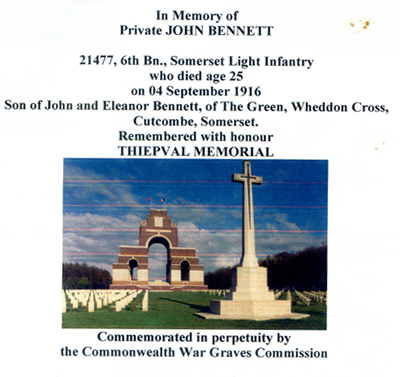 Previous generations can be traced back to John Bennett who was born in 1781. 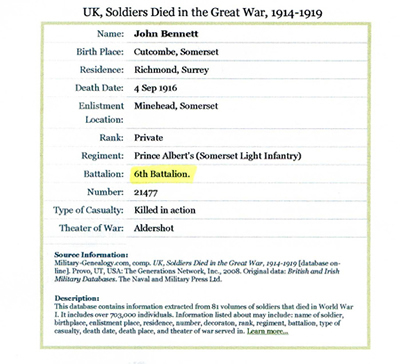 Their main occupation throughout was carpentry except for a period recorded in the 1861 Census where the occupation of their Grandfather, also called John Bennett, was shown to be Parish Clerk. 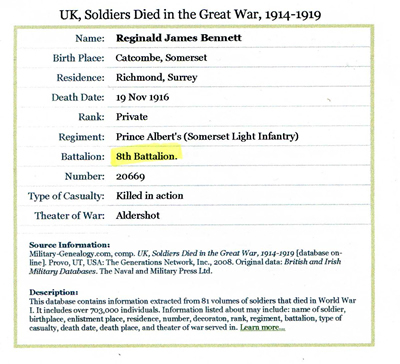 The 1911 Census seems to indicate they were the only Bennett family remaining in the Village and within a few years will have moved to the London area. 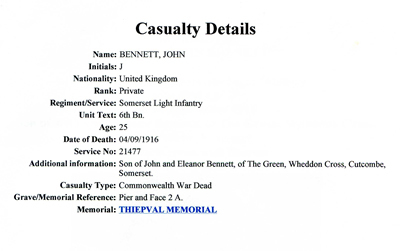 Throughout they have lived in Wheddon Cross except for John who was in born 1781 and lived at Blagdon Cross.